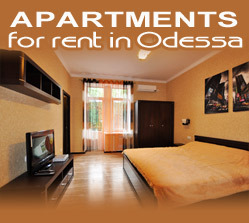 What places can you visit with your girl in Odessa? It does not matter what time of the year is in Odessa – it is always time for romance and love. And even the movies and cafes are always traditional romantic places, but for example you can choose something different. Especially if you are a guest of a city- your fiancée will be pleasantly surprised by the promenade. The best romantic place where you should definitely take a walk with your girlfriend is Mother’s In Law bridge. The sides for many years are covered by the locks as a sign of love. Also here during the day or at night you can see a beautiful harbor. By the way, to protect the bridge from destruction under the weight of iron evidence of love, from one side there is a sculpture of "Loving Heart", created specifically for the locks. While being on the bridge, in the mandatory list it is also included a walk by Vorontsov colonnade and spend some time on the "bridge of love" where the couple love to take photos. Certainly the most romantic places are marinas at Odessa Marine station. Going down by Potemkin stairs and walked by the pier, you will find the Yacht Club. Next to the benches near the water's edge you can see a wonderful view of the water area of ​​the port, beautiful yachts and a snow-white lighthouse. And during the warm weather lots of pleasure boats will start running there. The Iconic location and fountain in the heart of Palmyra is The City Park. Lots of alleys with benches are located there, so you can enjoy the view walking or sat down. In the evening, the fountain "becomes alive" and turns into music fountain – water is splashing with classical music accompaniment. Also in the garden you can take couple photos - in the rotunda, where sometimes an orchestra plays music or on the background of a three-meter bronze heart. The sculpture is made in the shape of a tree - with hearts on which the word "love" is written in different languages ​​instead of leaves. By the way, if you want to build a strong relationship with your girlfriend - you need to touch the trunk together with your hands. A marble couple of Cupid and Psyche in Palais Royal Garden next to Opera House will help the couples whose parents do not approve their partners. According to the legend, the mother of Cupid - Aphrodite, sent him to kill Psyche because of her beauty. Now the residents of Odessa are spending time next to the statue to declare their love. They say that parents after that "rite" become kind. Also Palais Royal Garden is quiet and cozy place where you and your girlfriend can sit on a bench and talk for hours. Insuren spring is located in Shevchenko Park. According to the legend, the Ukrainian girl came here to get water for her beloved one. However, at that moment he was killed, and the heart of a young woman, felt the tragedy, turned into a stone and became a perennial spring of love. For those who do not believe in the beautiful legend, the park has the largest Ferris wheel. A few laps in the open booth will give you lots of positive emotions. From the height you can see spectacular views of the sea and the city center. All these places are quite famous and it is easy to find them. They can be added to the list of places where you will be able to quickly and easily get acquainted with Odessa’s women. Good luck, we wish you lots of romance and love.